Nowadays the world is brimming with mobiles. Even the small kids cannot think of a world without mobiles. With the advancement of mobiles came another technology: Bluetooth. When the mobiles began ruling the world it was essential to connect between mobiles wirelessly to transfer data. Infrared was the first solution to this problem. However due to its incompatibility , limited datatransfer rate , shorter range and lesser reliability it was soon discarded as new wireless connectingstandard came into place. Bluetooth was far better than infrared in many aspects. With that mobilescould be easily connected or paired and can transfer files. When the mobiles changed to a part of day to day life it became important to link it to computer so as to transfer data in n out. Music files, photosthat you capture using your mobile, files that you receive from other mobile, videos…etc. It became essential to be transferred between mobile and computer for the ease of handling and processing. 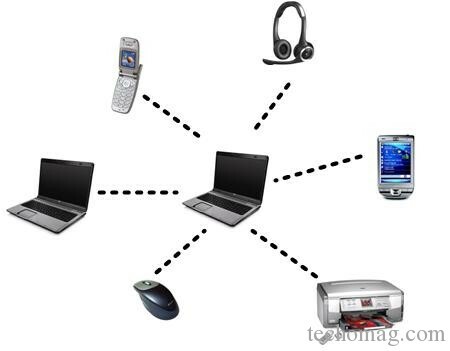 In this post I am going to show you how to Enable Bluetooth Connectivity to your PC and synchronizing your PC with other bluetooth devices like mobile phones , headphones , printer, etc. 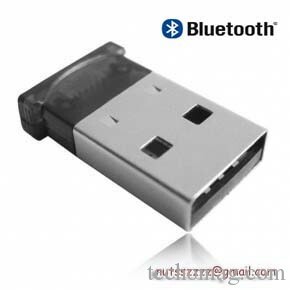 For connecting mobiles to pc via Bluetooth you need both hardware as well as software. Most commonly used connecting device is Bluetooth dongle. A dongle is a small piece of hardware that connects to a laptop or desktop computer. It is a portable device and is often close to the appearanceof a USB flash drive. Although earlier use of dongles was to authenticate a piece of software, the word dongle is now widely used to refer to a broadband wireless adaptor or in general to connectors that translate one type of port to another. It is simply a USB device that that looks just like your pendrive. Before you use the device you should install the drivers for the device. Usually a CD containing the drivers is enclosed with it. Using the CD install the driver software and then plug your dongle. After you have installed drivers for your Bluetooth dongle plug it in. Windows will now identify your device. You will have a Bluetooth icon in your taskbar and also a shortcut to “Bluetooth places” in your desktop. The drivers and appearances may vary with the device you purchase. 1. Go to the Bluetooth places. 2. For the first time when you use it there will be two options “Search Devices” and “My devices”. 3. Click on the “Search Devices” icon for the computer to search for your devices. 4. Now select your devices from the listed devices found and pair it with computer. 5. Computer may ask you to enter a pass code to pair the device just like when we pair two Bluetooth phones.When you have successfully paired with your device your device will be listed in “My Devices”. A screen shot of the options in selected device is shown below. 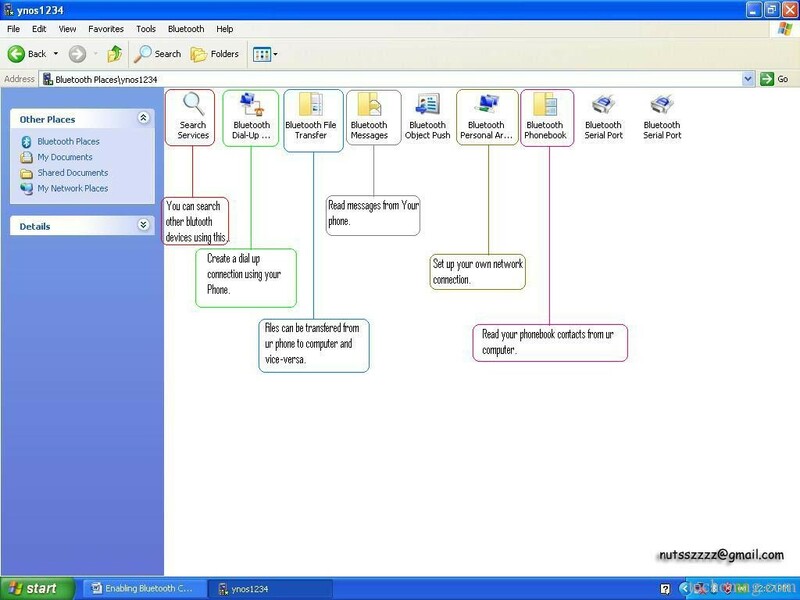 This method can be used to connect other bluetooth devices to your PC like BT microphones , BT printer , BT mouse , etc .Please Feel free to ask me any doubt regarding my post. Hope you enjoyed it . Don’t forget to subscribe to our blog via email , so that you can get the latest updates to your email.